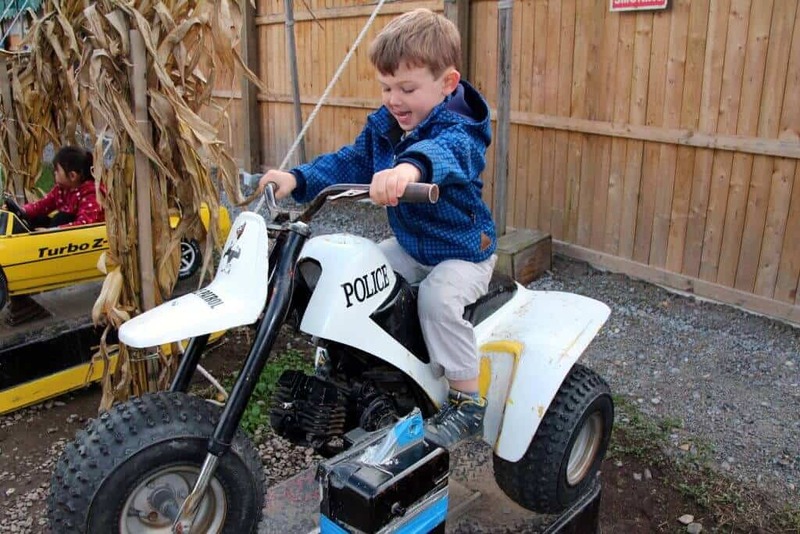 Looking for a great place to take the kids that isn’t far from the DC area? 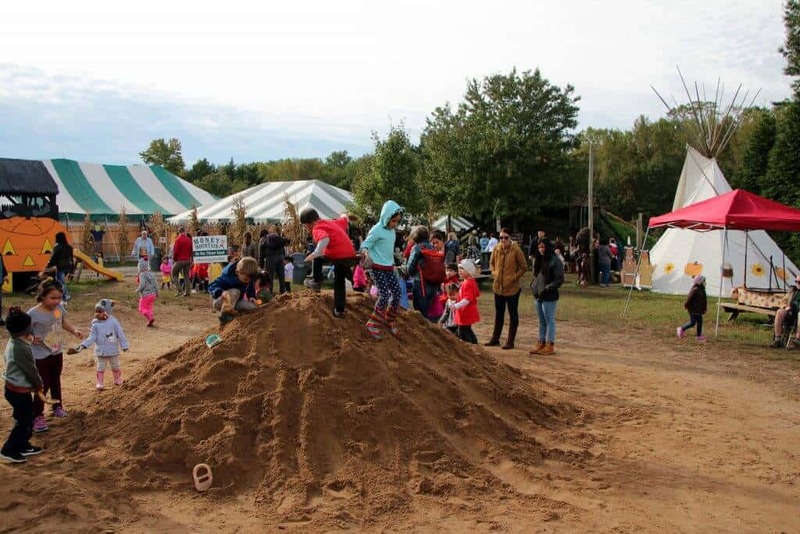 Check out the Burke Nursery’s pumpkin playground where the kids can explore playsets, slides, visit the animals and dig for coins in the huge sand mountain. 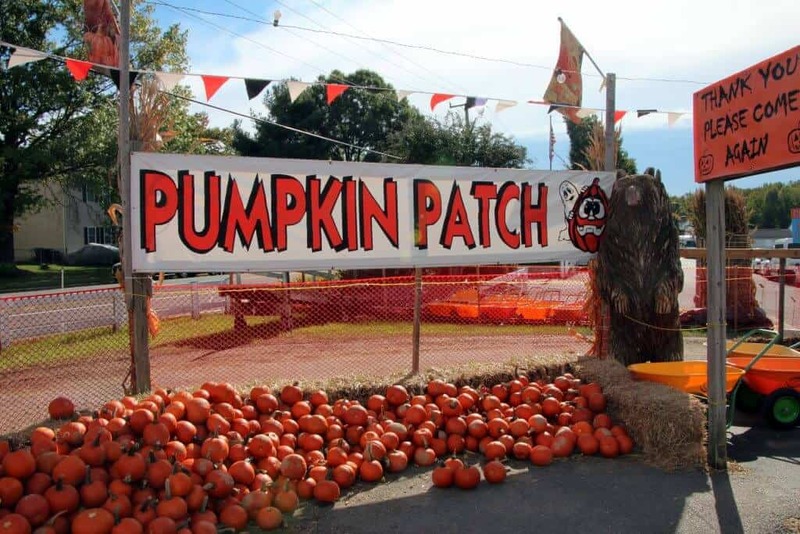 It is one of our favorite fall festivals in Virginia and has a cute pumpkin patch. 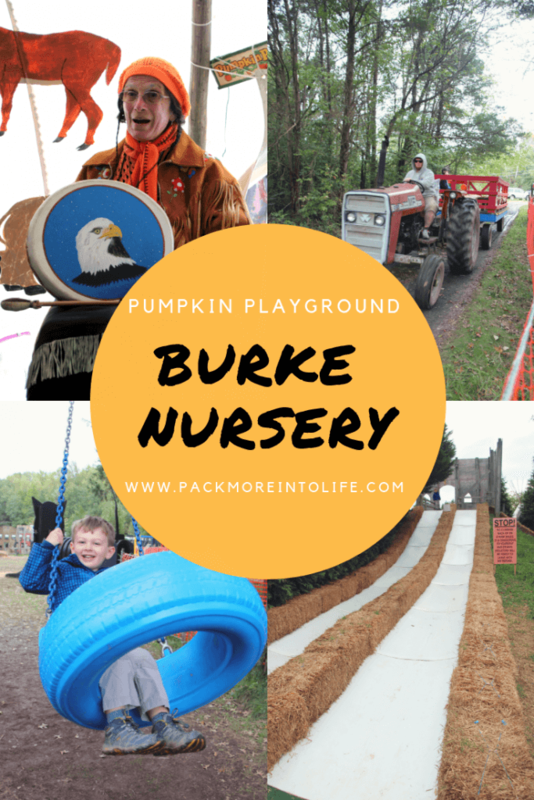 Where is the Burke Nursery Pumpkin Playground? 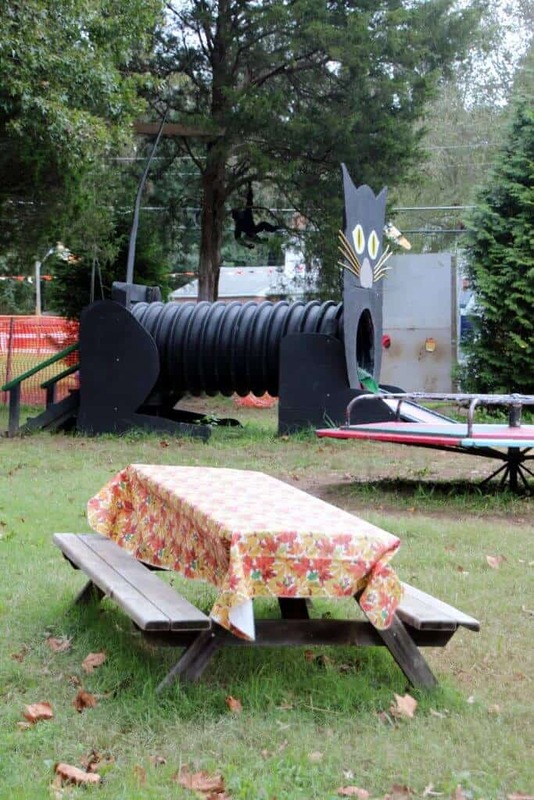 The Burke Nursery Pumpkin Playground is located in Burke at 9401 Burke Rd, Burke, VA 22015. Look for the Burke Nursery off Burke Road. It’s easy to see the pumpkin displays if you are coming from Fairfax (West). If you are coming from the East, just keep an eye on your left and you’ll see the turn in for parking. 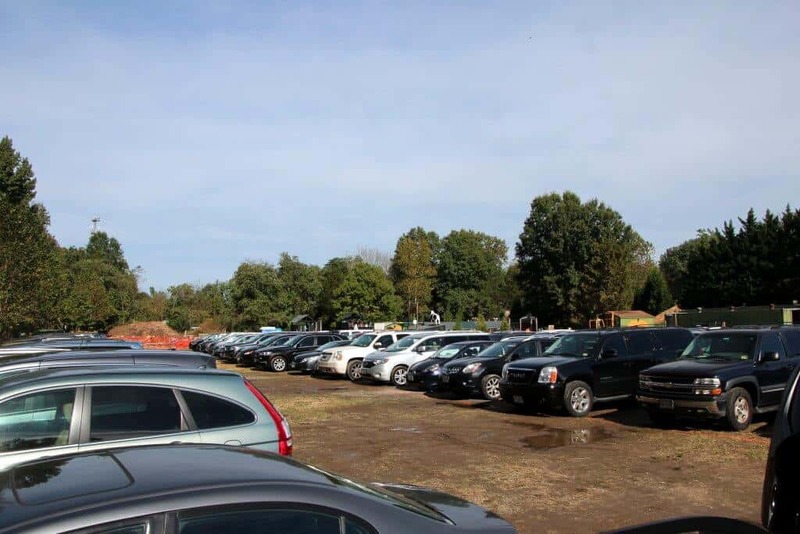 Follow the helpful attendants and they will help you find parking located in the back dirt lot. From there, it is a short walk to the entrance. 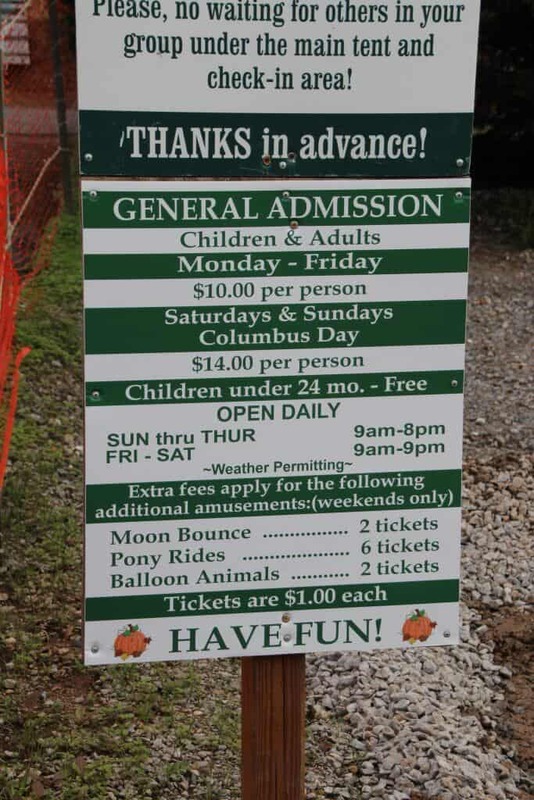 You’ll purchase your tickets inside the store before heading into the pumpkin playground area. There is also bus parking for school trips and events. The cost of admission on weekdays is $10 per person and the weekend price is $14 per person. Kids under the age of 2 are free. They offer a $1 off discount for military families. I’d recommend a baby carrier for the littlest ones. I wouldn’t bring a stroller because it’s a small playground and it isn’t easy to drive a stroller around the mud/hills. However, if you prefer to bring a stroller, it is doable. 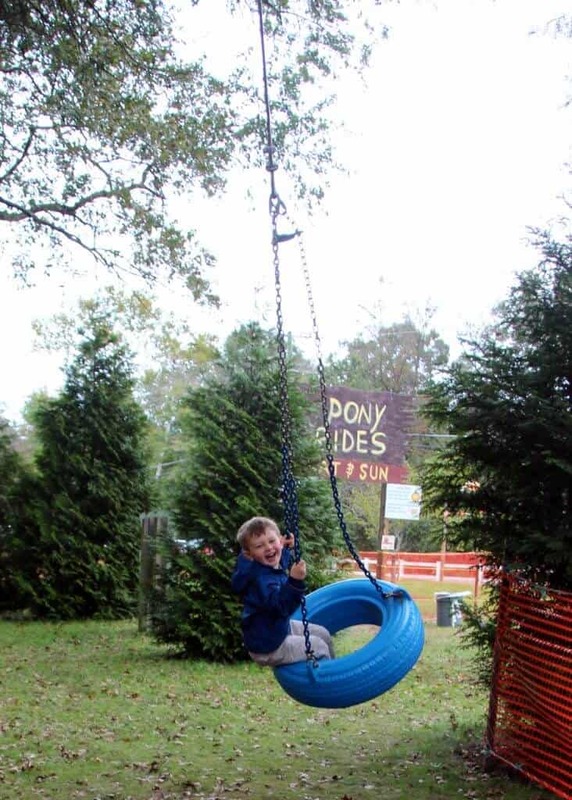 Swings: There are quite a few choices if you have a child that loves a good swing. Two regular swings, two baby swings, and a fun tire swing. The swings are located to the back left of the grounds (from the entrance). Playsets: There are playsets of all shapes and sizes. Check them all out and see which one you like the best. We love that they have some playsets perfect for smaller children. 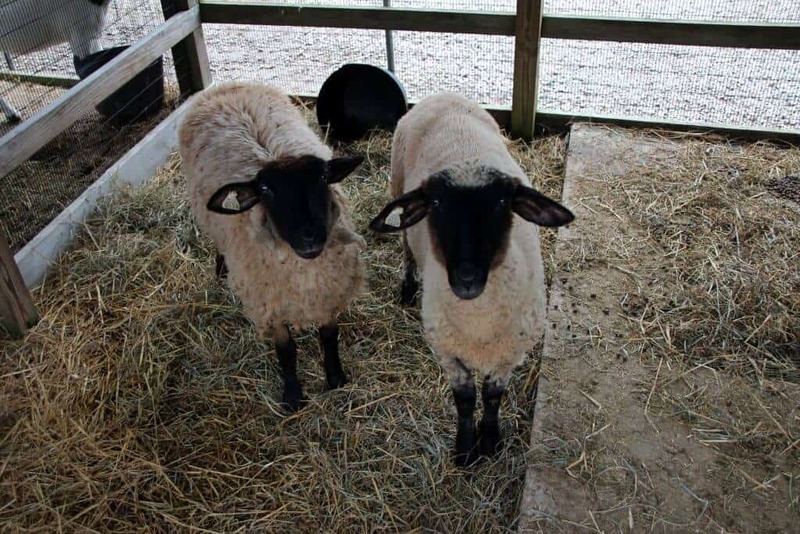 Animals: Say hello to the cows, goats, chickens, and ponies (on the weekends). You aren’t able to feed them and the fencing limits your ability to interact with the animals, but it’s nice to say hello. 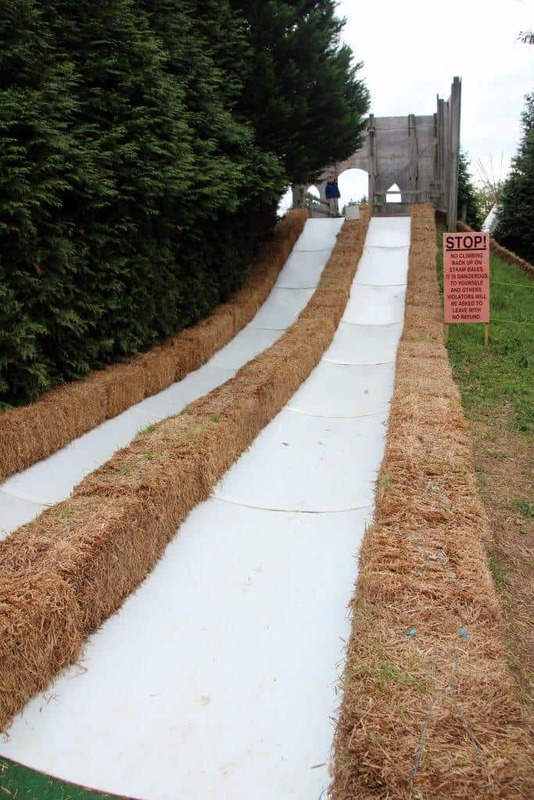 Rides: There are a few powdered rides located around the grounds. Some are free, just climb on and push the button! 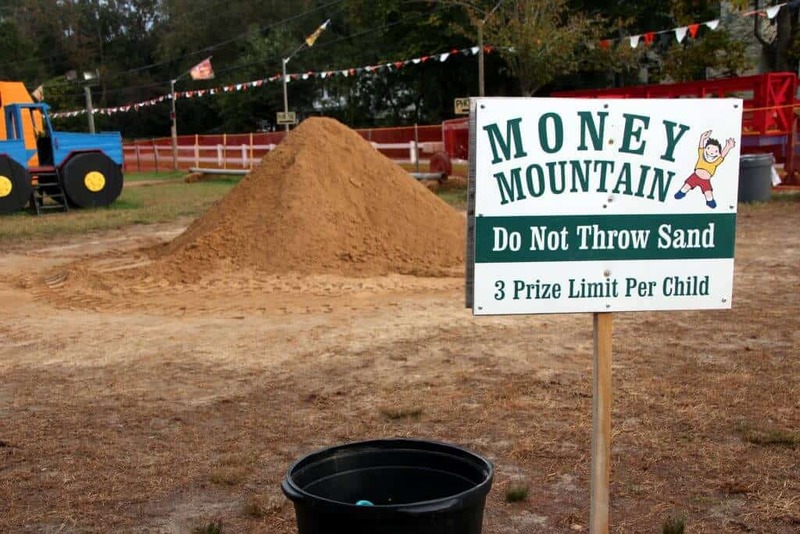 Money Hill: Grab a shovel (provided) and let your children dig for coins! 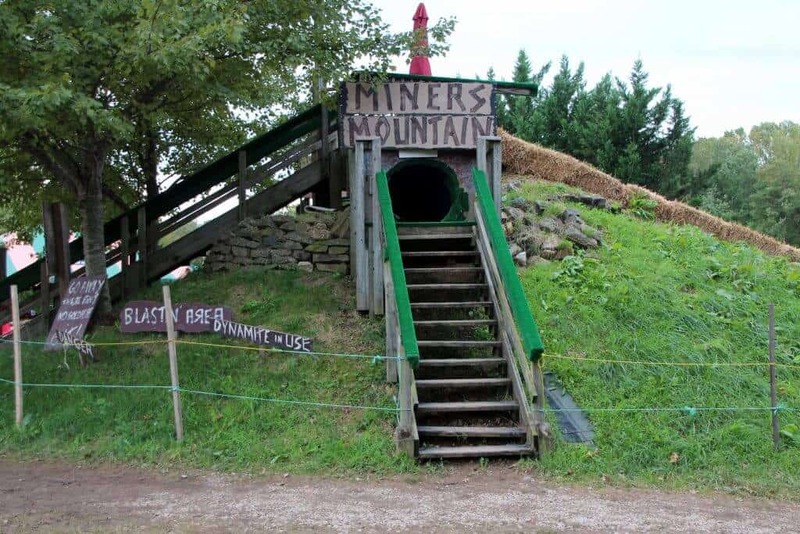 This was a favorite activity and a popular place to explore for the kids. Who doesn’t love digging on a gigantic sand hill? I joked that we should put one in the backyard! Later in the day around 10:30 am, so arrive early! 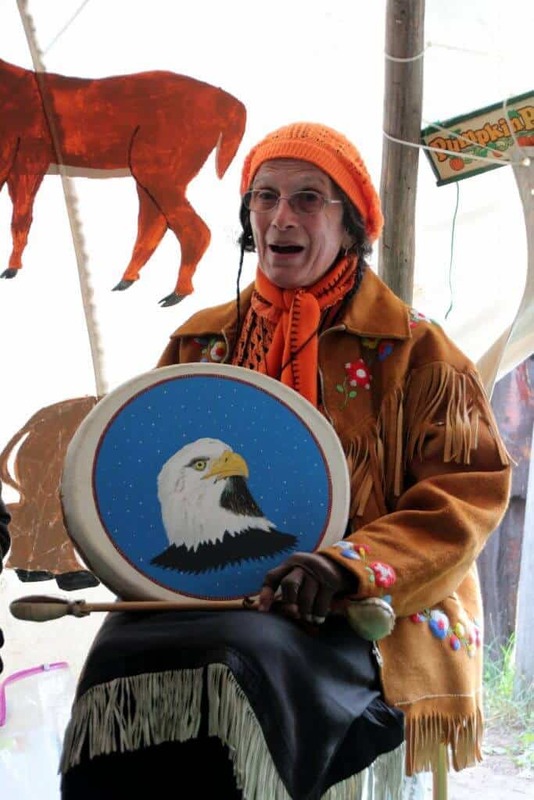 Tee-pee: Visit inside to enjoy some Native American stories and songs. We joined in with a school-aged group for a 20-minute presentation. It wasn’t a highlight of our morning at Burke, mostly due to the nature of the presentation, but feel free to make your own assessment. 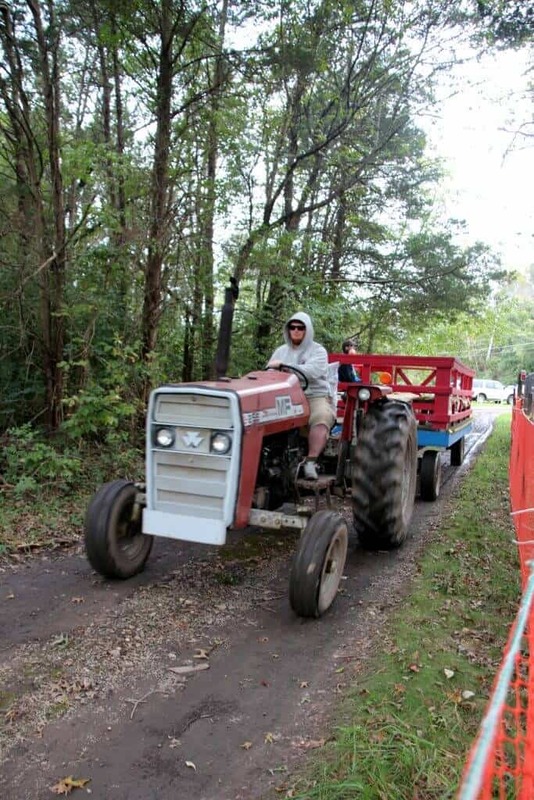 Tractor Ride: For the tractor fans, hop on the hayride to enjoy a ride through the woods. It’s a short 5-minute ride and the line gets long around mid-morning and on weekends, so jump on when you first arrive or wait until later in the day. The line is also close enough to play structures that the adults can wait in the line while watching the kids play right next to them. There are porta potties located at the back of the grounds. There is also an open changing area with sink to wash hands and trash cans. Probably not the warmest or most comfortable, but it’s private. There is a snack bar for food options. 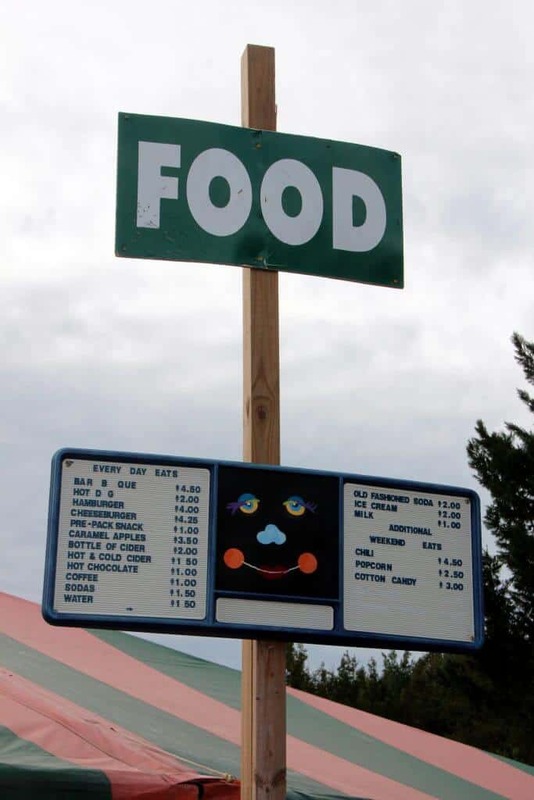 We did not eat at the Burke Pumpkin Playground, so I can’t say whether the food or drinks were good. You are able to bring your own food and there are plenty of picnic tables (with tablecloths) scattered throughout the grounds. 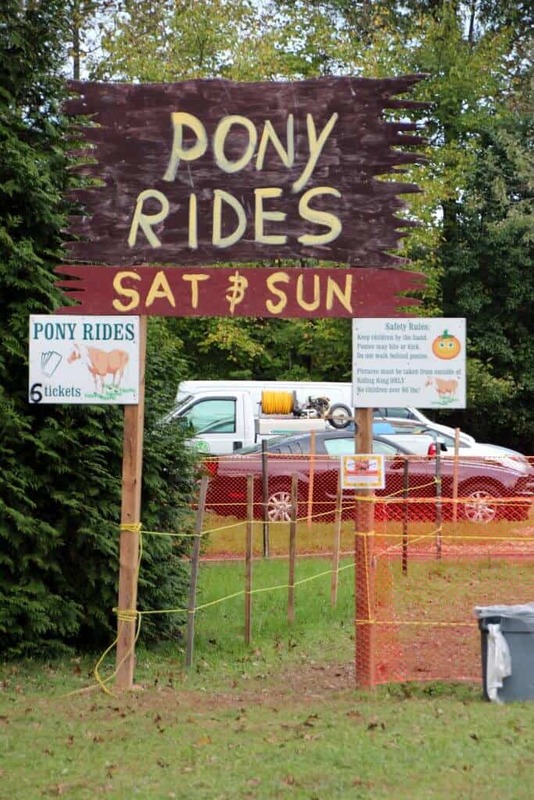 This is a favorite Fall Festival and Pumpkin Playground due to its convenient location, inexpensive price of admission and variety of fun activities. 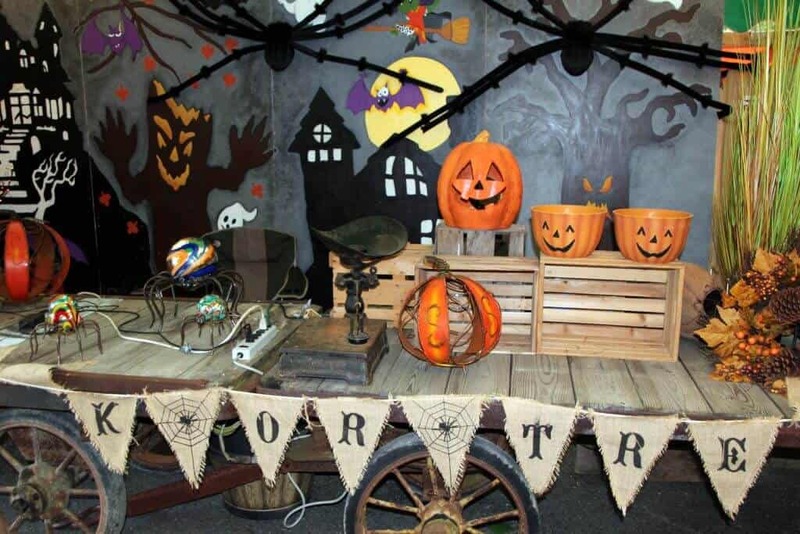 Want to read about more fabulous Fall Festivals and Halloween Events in the DC area? 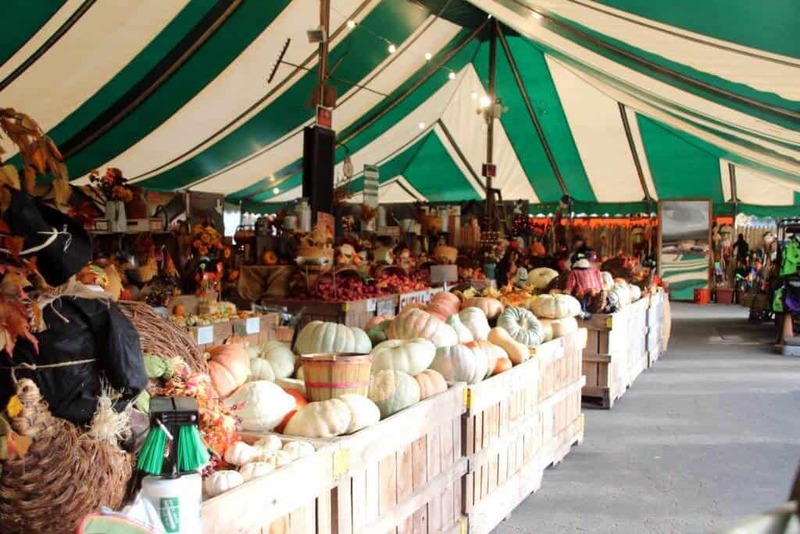 Head back to our Favorite Fall Festivals in Virginia post. Want more recommendations on what to do in the area, head over to my destinations page and you can pick where you want to visit!